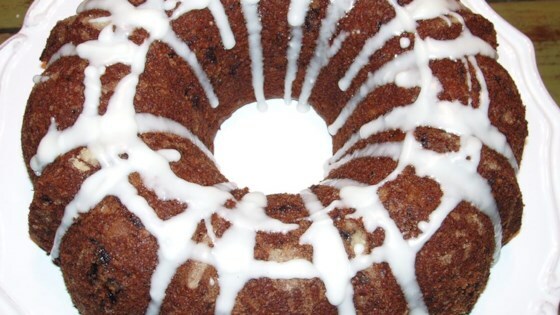 "This is a relatively plain cake made moist with prunes and prune juice. Its nice to have slice of this cake for breakfast in the morning." Sift the flour, baking soda, salt, ground cinnamon, nutmeg, cloves and allspice. Set aside. Cream the shortening with the white sugar. Blend in the eggs one at a time and beat well for 1 minute. Add the dry ingredients alternately with the prune juice. Stir in the prunes and nuts. Pour batter into the prepared pan. Bake at 350 degrees F (175 degrees C) for 30 minutes or until done. I like butter too much, this recipe called for shortening. Although it is nice and soft it just misses the yumminess of butter. Delicious! But do cut the sugar by half, since the prunes are very sweet already.